Excel Xls to PDF is easy but you need the right Xls to PDF conversion software. Excel(Xls,Xlsx) to PDF converter is the best solution for converting Excel to PDF, Xls to PDF, Xlsx to PDF, rtf to pdf, text to PDF, Converting documents from Microsoft Xls to PDF format gives you the ability to email documents to customers in change-protected mode. Plus, converting documents from Xls to PDF allows you to prepare them for archiving. 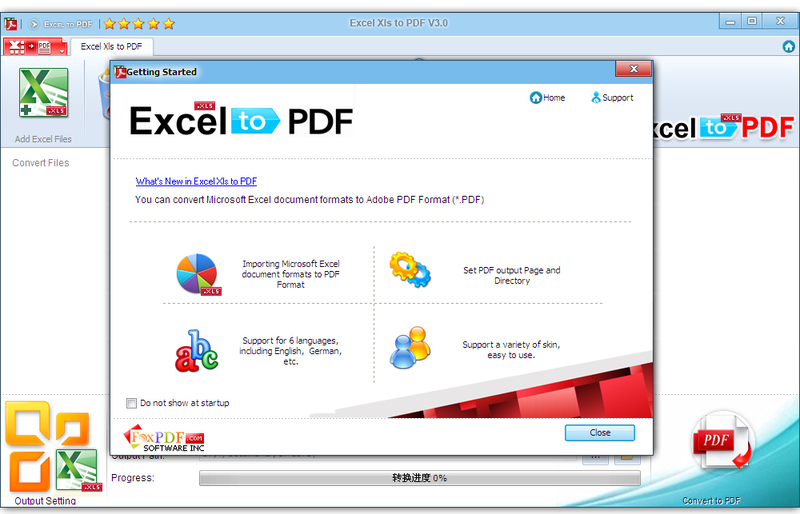 Excel Xls to PDF is the most complete solution for the conversion of Excel documents into Adobe PDF. 1): Easy and Suppot (Excel) XLSX Format! Excel Xls to PDF is easy to use. Just click the button to canvert your PDF. Excel Xls to PDF preserves your links and keeps them working in the resulting PDF file. Whether they point to a web page, or internal links to a target cell in the sheet.
. Convert all the pages, or partial pages of Excel documents to PDF file.
. Standalone software, MS Excel, Adobe Acrobat and Reader NOT required!
. Excel Xls to PDF Support Convert in high speed.